Charles Barkley is high as ever on the Knicks this year. There's just about no one who thinks the Knicks are going to be good this season. Well, that was true until Charles Barkley got on a conference call with reporters and discussed what he thought of the team's offseason and upcoming year. That's a pretty nice review of a team that won just 17 games last season. The Knicks did overturn their roster this summer, though, adding Robin Lopez, Arron Afflalo, Sasha Vujacic, Derrick Williams, Kyle O'Quinn and Kevin Seraphin while also welcoming Carmelo Anthony back from injury. We'll find out in time exactly how right or wrong Barkley is on this one. 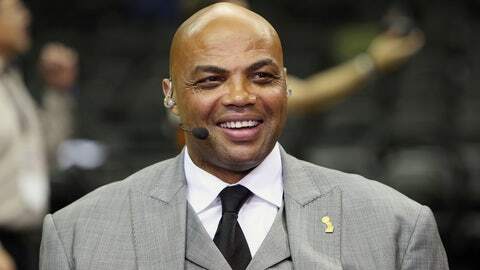 “The Knicks are one of my sleeper teams,” Barkley said. “I think they will make the playoffs. I think Phil Jackson has done a good job getting good, quality players. [Kristaps] Porzingis is a young kid with some tremendous upside, but I am picking the Knicks to make the playoffs. They have actual NBA players on their squad this year, to go along with Carmelo Anthony. Robin Lopez is a legitimate player, Arron Afflalo is an NBA player, Jerian Grant is an NBA player and you've got Derrick Williams.